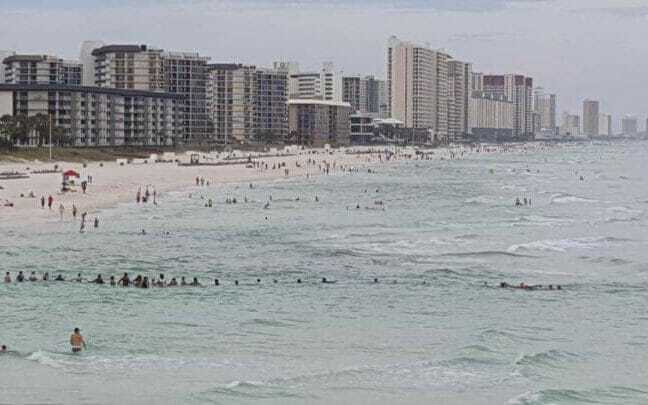 This is the incredible moment strangers on a beach formed a human chain to save a drowning family caught in a riptide in the Gulf of Mexico. 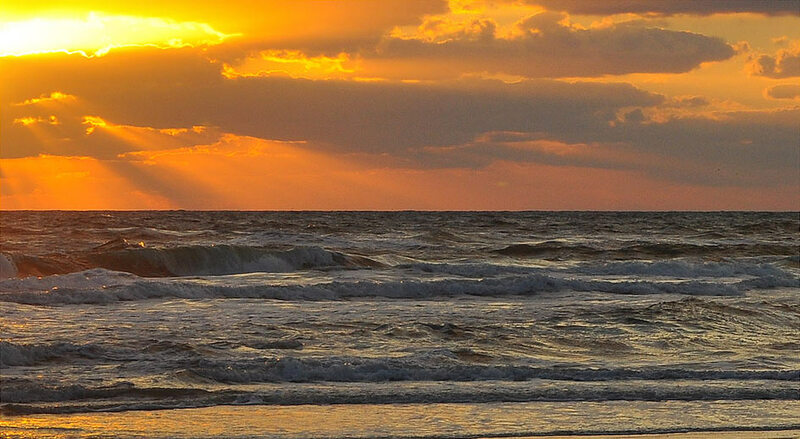 Dozens of beachgoers, including some who couldn’t swim, joined together and linked arms to help nine people, including two young children, swept away by the powerful offshore current. Around 70-80 people were involved in the dramatic rescue effort on a busy Panama City Beach in Florida on July 8. Mother Roberta Ursrey told the Washington Post she feared her family were going to die as the human chain was being formed. The ordeal began when Stephen Ursrey, 8, and his 11-year-old brother Noah, were separated from their family and became stranded in the riptide around 90 metres from the beach. Strangers heard their screams and swam towards the boys, but soon found themselves caught in the riptide. A Chinese couple were also caught up in the drama. Ms Ursrey, 34, then spotted her boys were in trouble and jumped in, along with three members of her family, but they were also overpowered and struggled for 20 minutes to stay above the water. 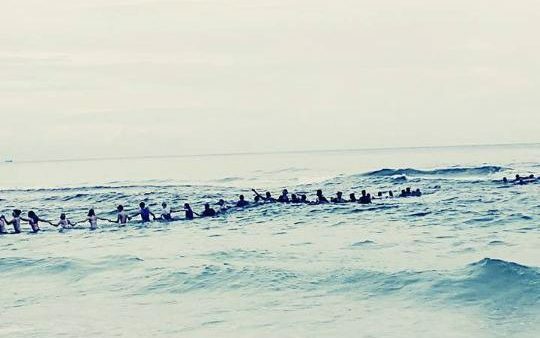 Meanwhile, a group of surfers helped drag one person in the water back to safety. Jessica Simmons, a strong swimmer who also jumped in to help, along with her husband, initially assumed there was a shark in the water before she realised people were drowning. “Some people started gathering people on the beach to form a human chain,” she said. “To see people from different races and genders come into action to help total strangers is absolutely amazing to see!! Ms Simmons said after 30 minutes in the water, the human chain managed to pull all the stranded swimmers to shore. Ursrey’s 67-year-old grandmother, Barbara Franz, who suffered a heart attack in the water, is being treated in hospital and is now in a stable condition.